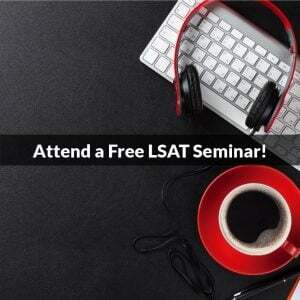 You are here: Home / LSAT Prep / A 2-Week Study Decision: Quantity or Quality? A 2-Week Study Decision: Quantity or Quality? 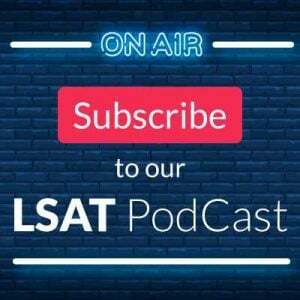 With the LSAT fast approaching, test takers are more eager than ever to maximize the value of their remaining study time. And that’s exactly what I want to discuss: how, with only two weeks and likely a mountain of materials, to get the most out of the days ahead. The key to effective practice, particularly with time constraints, is to recognize that the volume of work you attempt is far less important than the insights even a small amount of work can give you! The truth is, any time I begin elaborating on the specifics of the idea of “proper practice,” and it happens much more frequently than I’d like, it occurs to me that at the core of effective studying is the process of comprehensive performance review and self-analysis. So what follows is a breakdown of those concepts. Take these ideas to heart as you continue with your preparations, and reflect upon them often in the coming weeks. The problem a lot of people run into on this test, and what I think leads to a lot of anxiety and frustration over score plateaus, is that there’s a tendency to just want to push forward-forward-forward, doing section after section, or test after test, without a whole lot of self-awareness or self-reflection. And that becomes particularly compounded when the exam is just days away. “Okay well I did those 50 LR questions and only got half right…I better do another 50.” But that’s no way to make improvements! Instead, what needs to happen is that whenever you find yourself struggling, even if it’s just a small sample of performance (one passage, one game, a few LR questions missed consecutively), you need to stop and take a very detailed look at what’s going wrong. Have a conversation with yourself along the lines of, “Alright that game crushed me. Let me go back to the beginning and see what I should have done differently: did I identify the variable sets correctly, pick the right base, recognize the numerical distribution, diagram each of these rules properly, see their connections and the inferences that would result? Did I do those things in a reasonable amount of time, and how could I have gone faster? With each of these questions did I recognize the type–Local or Global, Could be True versus Must be True, etc? And how could I have found the correct answer more quickly?” Essentially: what was the source of my difficulties, why did it cause so much trouble, and how should I respond differently to this scenario when I inevitably face it again? To answer those things you often need to return to the conceptual discussion of the thing being tested (maybe undefined grouping games, for instance) and filter your analysis of what you did through the conceptual framework of how it’s supposed to be done. So look back at the relevant content in your study materials, be it a PowerScore Bible, course book, or live online course archive, and ensure that you fully understand the underlying nature of the subject in question, and then return to the specific source of the difficulty and reevaluate it based on your improved comprehension of its conceptual basis. Once you’ve satisfactorily answered each of those things for yourself, move to a fresh example of the concept/idea and try again, with an intense focus on a better application of how it should be done. This leads to (1) gradual, but consistent, improvements over time, because you’re getting better at recognizing familiar elements and structures, applying the appropriate techniques, and realizing when things are going a bit off kilter so you don’t stray too far from where you want to be; and (2) immediate rewards in the days before the exam, as you refine and perfect your approach, further establishing the skills you’ll need on test day. In short, it’s an issue of quantity versus quality. You want QUALITY! So make sure that everything you do, be it something brief, or something like an entire five-section practice test, is given a proper review where you take the time to deconstruct it thoroughly and analyze your performance, looking for any possible area of improvement by comparing what you did with the recommended strategy for that concept. Do NOT let a limited amount of prep time dissuade you from spending a significant portion of it on self-reflection and review! Last thing: don’t be afraid, even now, to start small and build if you still find yourself struggling. That is, if LR is a weakness, then an entire practice test with 50 or so questions is probably not the place to spend your time. Instead you’d want to take a smaller selection of questions, maybe even of a single type if you have one that particularly troubles you, work through those while timing yourself, and then follow the process of comprehensive review/analysis described above. The idea is that with a fair amount of work already under your belt, you should be able to efficiently address and eliminate these weaknesses, but you need to be precise in approaching them. I know this can feel tedious and tiresome, but you MUST have a clear understanding of where you are struggling and why if you want to eliminate your various points of difficulty prior to test day, and a thorough, consistent process of self-analysis and review is the most reliable way to do just that. Photo: “Rear View mirror shot” courtesy of Alex. Thank you for this information and explaining why quality is better. Spending time to reflect on what you did wrong during practice is good. This is exactly what I was wondering and I will take only 1 simulated test this week and another test next week! If i’m working on 30 MBT questions should I: 1) complete all 30 questions and then go through the answer choices one by one and examine what went wrong; or 2) complete a question, check the answer and review it if i got it wrong. Then, continue that process for each of the 30 questions. Hey Madeline – great question! Partly it depends on what you’re trying to do: build stamina, or gauge your understanding of the concept. That is, if you’re looking to grow your endurance (and better replicate test day where you’ll have 20+ questions in a row to tackle) then it’s important to work in bulk, meaning doing full question sets under timed conditions before stopping to review your work or check your answers. 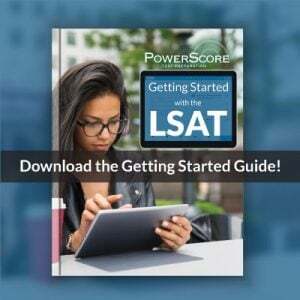 Most people doing exercises like the one you describe–a bunch of questions all of the same type–are more interested in improving their skills and conceptual understanding, meaning do fewer questions, review your responses untimed to see how you still feel about them (as described above, and here: https://blog.powerscore.com/lsat/how-to-review-lsat-problem-sets), then check your answers and see how you did. So maybe 4-6 questions at a time. If you’re doing well, then keep going: tackle the next set of 5 or so and repeat the process. If you’re struggling then make sure you understand what’s going wrong and why before attempting additional questions! That way you don’t burn through all your content doing things the wrong way, or reinforce bad habits and misunderstandings.